The giant hole in the ground you see below will one day become the Centerra high-rise in San Pedro Square! Thanks to Jeff Arko for sending in the photo (he'll have more soon). Now, it's even deeper and pretty much leveled off in most area. KT Properties zipping through the entitlement process and already have the building financings all locked up. They're ready to break ground as soon as they get the permits. 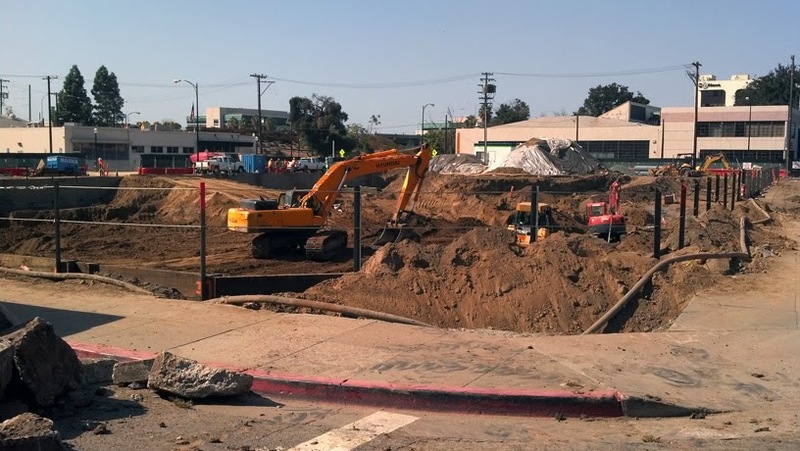 The two high rise building complex on San Pedro St. is a go! They want to break ground as soon as possible. The info. is from Sam Liccardo office. The Symphony 7 story project is ready to get underway in 2 month right behind the Vintage tower on Santa Clara/Sixth St..
Wow, Good News Boy. Who are you? Why do you always make our days?! :) Between you and Tomas Hertl, I'm not sure who to hug first HAAHHAHA! Can we force BSB to give up all their downtown lands to KT? Or do I have to go and picket their office and tell them to man up? I don't know about all that GNB, I was at the community meeting for the project yesterday. They are going to submit the Site Development permit in a month with hopes to break ground by the end of next year. They also haven't decided if the project will be done all at once or in two phases. either case, real forward progress being made. Very exciting times for DTSJ. One South Market Apartment Update: Crane will be erected by this November. The tower will top off in 15 months(Jan/Feb. 2015) with completion of the tower and ready for occupancy in June 2015. Yeah, I heard they poured the first concrete this week.